Combining a Dr Strangelove – inspired performance with a daring forum for public conversation, Unexploded Ordnances (UXO) explores ageing, anxiety, hidden desires and how to look forward when the future is uncertain. 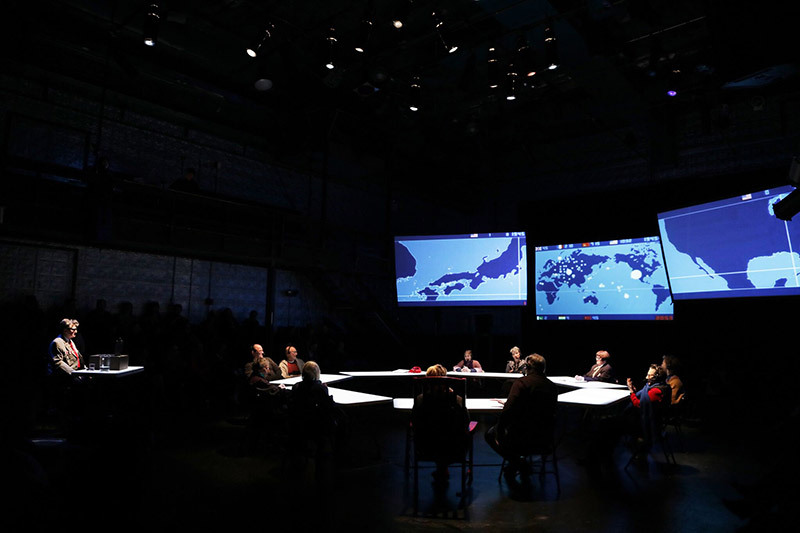 In their Situation Room, twelve audience members are invited to become a Council of Elders to discuss the global issues of the day, as the company weave in satirical insights and humour. 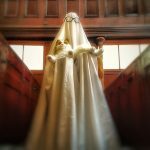 Adopting the characters of a bombastic general and ineffectual president, Peggy Shaw and Lois Weaver of Split Britches lace this interactive piece with both playful urgency and lethargy, encouraging discussion about the political landscape. The pioneering theatre – makers see unexploded ordnances as a metaphor for the unexplored potential in elders and hope to uncover buried resources in us all. UNEXPLODED ORDNANCES is part of a bundle with A Salon of Trans Live Art (Friday) and FAULTLINES (Saturday) – see two shows in one night for €22. Queen Mary University of London for her contribution to theatre and the institution. ‘Planes carrying nukes, the terrifying sound of life atomized into static noise: “Unexploded Ordnances (UXO)” feels very much of the minute…It is also wonderful to watch the rapport Ms. Weaver and Ms. Shaw have forged over shared decades.’ – The New York Times. Full review here. ‘One of the ingenious paradoxes and tensions of this piece is that the very thing our society needs more of — meaningful political dialogue — here becomes inimical to a thing we need even more badly: swift, decisive rescue.’ – Gay City News. Full review here. ‘I hope that more people have a seat at the table. That is really my definition of democracy and my definition of feminism.’ Split Britches’ interview with Slant Magazine. ‘For me to be in a position to teach and encourage people, and women in particular, to become independent artists, which is what we consider ourselves, is a bit of an ethical dilemma for me because I don’t know how people are going to survive. And yet I still encourage that, because the strength of that or the strength that that gives you is an amazing thing. I know it’s a lot, lot harder than it was when we started out.’ Split Britches’ interview with The Interval. Full interview here.